A look back at the moneymakers who hit the headlines this year for all the wrong reasons. From Elon Musk’s troublemaking tweets to a former chief executive billionaire being charged with fraud, here’s a look back at the business personalities who landed in the headlines this year for the wrong reasons. Like President Donald Trump, Twitter is Tesla CEO Elon Musk’s platform of choice when it comes to communicating with the masses. Musk’s freewheeling tweets got him into trouble with the Securities and Exchange Commission after he tweeted he had secured funding to take Tesla private at $420 per share. Musk settled fraud charges with the SEC, was slapped with a $40 million fine and was forced to step down as chairman of Tesla. Musk also admitted $420 — a number referencing marijuana culture — was chosen because he thought his girlfriend “would find it funny, which admittedly is not a great reason to pick a stock price,” according to an SEC filing. Carlos Ghosn, former head of the Nissan Renault Mitsubishi auto alliance, was arrested by Japanese authorities in November over allegations he underreported his income as Nissan’s chairman by tens of millions of dollars. He was formally charged in December. Ghosn was viewed as one of the most powerful people in the automotive world and credited with helping to turn around sales at Nissan and Renault. Since his arrest, Ghosn has been ousted as chairman of Nissan and Mitsubishi but still holds the title of CEO at French automaker Renault. Ghosn’s lawyer has said his client maintains his innocence. If ever there was a duo to take financial advice from, it certainly was not professional boxer Floyd Mayweather and music producer DJ Khaled. The pair settled charges with the SEC in November after they failed to disclose they were paid to promote a cryptocurrency. Neither celebrity admitted or denied guilt, but agreed to pay hundreds of thousands of dollars in penalties and restitution. The main ICO issuer was indicted in May by a federal grand jury on charges of having solicited investors to buy unregulated securities. The former head of blood-testing company Theranos, Elizabeth Holmes was once the wunderkind of Silicon Valley until it was revealed her company was a fraud. Theranos had been under scrutiny since 2015, but it wasn't until March this year that Holmes agreed to return millions of shares and not serve as an officer or director of a public company for 10 years. But Holmes’ problems only got worse. She was charged with criminal fraud in June. Theranos posted an insolvency notice on its website in September. President Donald Trump agreed in December to shut down the Trump Foundation and give away the remaining assets amid allegations he used the charity as his personal piggy bank for funding his business and political interests, according to New York Attorney General Barbara Underwood. The former chairman and CEO of CBS, and once one of the most powerful men in Hollywood, stepped down in September after a New Yorker article revealed allegations of sexual misconduct, harassment and intimidation. Moonves denied any non-consensual sexual relations, but admitted to having made "mistakes," saying "There were times decades ago when I may have made some women uncomfortable by making advances." 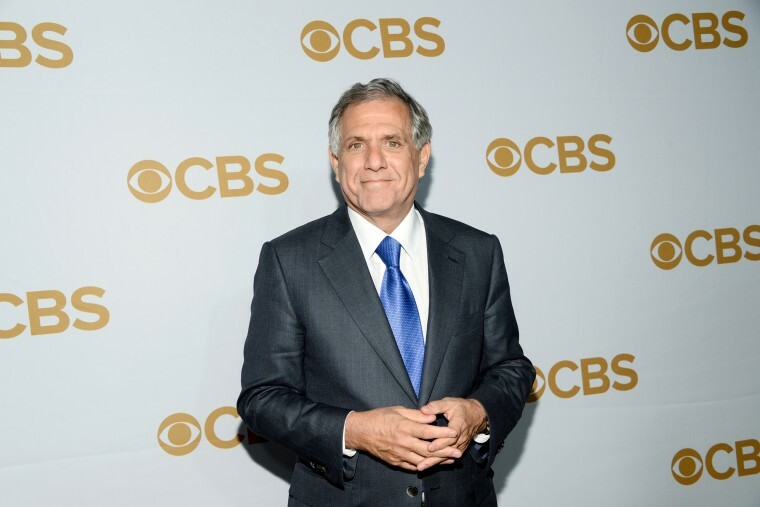 In December, the CBS board said it would not pay Moonves the $120 million stipulated in his contract, because it determined “there are grounds to terminate for cause, including his willful and material misfeasance, violation of Company policies and breach of his employment contract.” The search is still on for Moonves’replacement. The Intel CEO resigned in June after the chip maker’s board learned Krzanich had a “past consensual relationship” with an Intel employee. An investigation by Intel’s internal and external counsel found the relationship was “a violation of Intel’s non-fraternization policy, which applies to all managers.” Krzanich wasn’t out of the C-suite for long. In November, he was named CEO of CDK Global, a company providing software and technology solutions for car dealerships.